Hong Kong - Chinese leader Xi Jinping averted a confrontation during his visit to the United States by agreeing with President Barack Obama that each country would refrain from conducting or supporting cyberattacks to steal intellectual property for commercial gain. 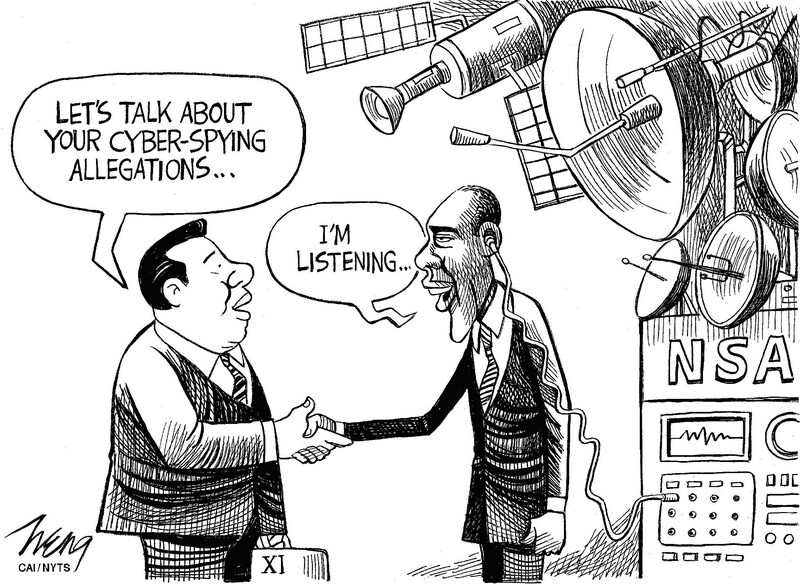 The two countries agreed to set up a dialogue on cyber-related issues where representatives will meet twice a year. 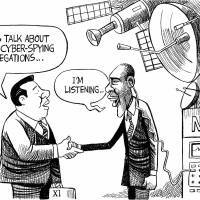 The Americans will inform their Chinese counterparts of any cyberattacks and the Chinese side will look into each allegation. Very likely, China will accuse Americans of attacks, too. Obama made it clear that words have to be followed by actions and, he said at a joint news conference, “We will be watching carefully.” So a confrontation may just have been delayed. But there was undisputed progress on the climate change issue. China announced that it would provide $3.1 billion in climate finance support for developing countries. This follows a U.S. commitment to provide $3 billion. The developed countries had previously agreed to provide $100 billion to the developing world by 2020. China, itself a developing country, was not covered by that commitment. China also announced that it would launch a national carbon trading program by 2017. The fact that China and the U.S. — the world’s biggest polluters — are working together provides much needed momentum to the United Nations climate change conference in Paris in December, whose goal is a binding agreement for the world. The two countries also reached an agreement on air-to-air safety and crisis communications, significant in light of the interception by Chinese fighter jets earlier this month of a U.S. reconnaissance aircraft, with the Pentagon saying that one Chinese jet passed within 150 meters of the RC-135 over the Yellow Sea. At the end of the Xi visit, the White House put out a “fact sheet” summarizing areas where the two sides had agreed to expand and deepen cooperation not only on cybersecurity and climate change but also on such issues as Afghanistan, peacekeeping, nuclear security, ocean conservation and people-to-people exchanges. Similarly, China’s foreign ministry issued an “Outcome list of President Xi Jinping’s state visit to the U.S.,” which covered much of the same ground. Interestingly, however, the Chinese put at the top of their list something that the White House left out completely: The New Model of Major-Country Relationship Between China and the United States. “The two sides,” the Chinese text says, “agreed to continue the endeavor to build a new model of major-country relationship between China and the United States based on mutual respect and win-win cooperation.” It is odd that something that China considers the most important achievement of the Xi visit was not mentioned at all by the United States. Indeed, Xi himself, in both his arrival remarks on the White House South Lawn and the press conference, repeatedly used the “new model” expression, but there was simply no U.S. response. In 2013, when the two presidents first met, Obama had been somewhat receptive to the idea, but there was no agreed definition of the model. While it sounds good, it is simply not possible for the U.S. to put China’s interests and concerns above those of its allies, such as Japan and the Philippines. A China-defined “new model” of relations is a trap for the United States, one that should have been evident two years ago.